He was the best-selling recording artist from 1939 to 1943, leading one of the best known big bands. "American Patrol", "Tuxedo Junction", "Elmer's Tune", and "Little Brown Jug". While he was traveling to entertain U.S. troops in France during World War II, Glenn Miller's aircraft disappeared in bad weather over the English Channel. 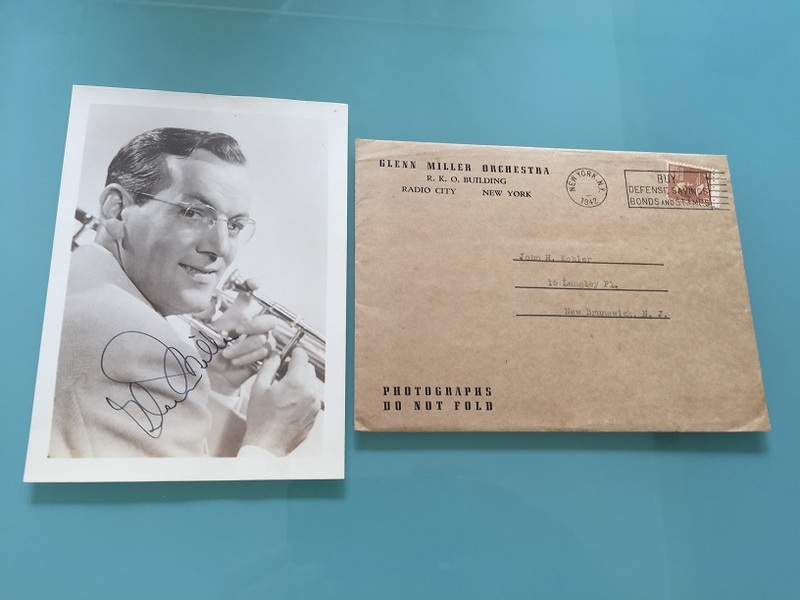 Stunning 8" x 6" vintage photo of Glenn Miller ,in fine condition, and with wonderful provenance.